On October 21, 2017, the Marching Grizzlies arrived at the band room at 8 a.m. to get ready for their last two competitions for the year, the Marshall Tri-State Competition and the WV Invitational Competition in Charleston, WV. Finally, the Marching Grizzlies enthusiastically arrived at Marshall eager to play in the huge competition. 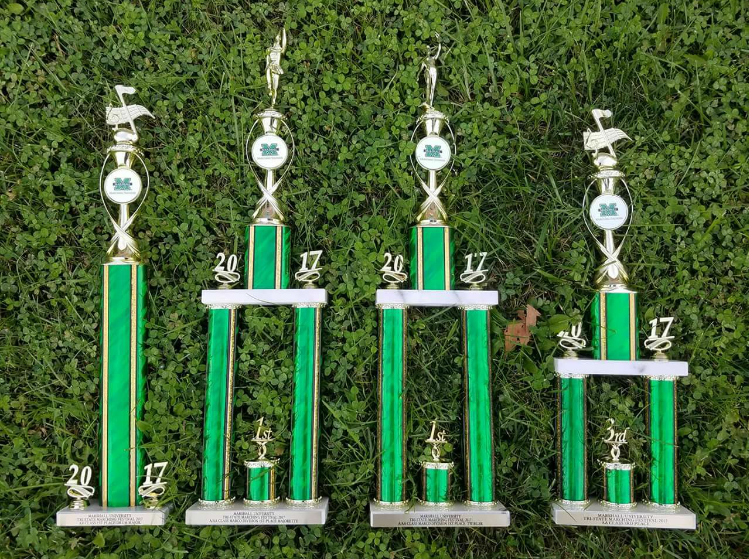 The NCHS Marching Grizzlies performed very well and earned amazing scores. The band overall placed 3rd. Both Drum Major, Laura Mangold, and Feature Twirler, Savannah Tinnel achieved 1st. The Majorettes also achieved 1st place overall. The Color Guard and Percussion scored 2nd. Before they could catch their breath, the Marching Grizzlies moved on to Charleston where they performed at 6:30 p.m. for the WV Invitational Competition at the Laidley Field. The Marching Grizzlies did great and placed 3rd Place. They also won the title of Best Soloist for Joseph Jarvis on the marimba. The majorettes did such an amazing job that they won State Champions with a big win of $500, and Feature Twirler Savannah Tinnel won the title of Miss Majorette! It was a great way for the Marching Grizzlies to end their season.